William Walter was born Jan 30, 1870 in Pekin, Illinois and died June 17, 1959 in Jacksonville, Illinois. Ursa Mary Bowers was born Dec, 24, 1874 in Chandlerville, Illinois and died December 21, 1956 in Jacksonville, Illinois. They were married Jan, 18, 1893 in Havana, Illinois. William Walter was the son of William Whitaker and Susannah Bequeath. Ursa Mary was the daughter of Deighton Bowers and Sarah T. Underwood, both of Cass County. The couple had 7 children and lived much of their lives until their deaths in their house at the corner of South Job and West Hardin Streets in Virginia, Illinois. The “Historical Encyclopedia of Illinois, Volume 2”, in 1915, mentions the Whitaker home as being demolished by the cyclone of Nov. 11, 1911. 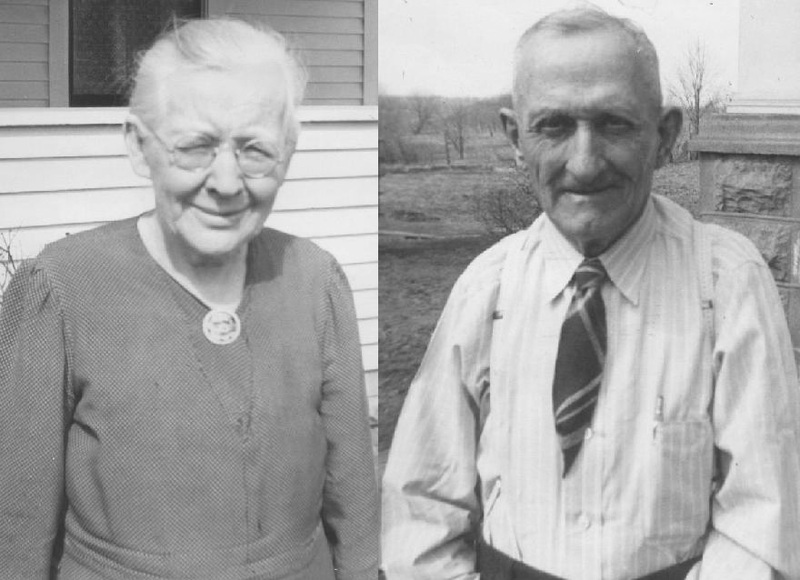 Their children were Walter William b: Jan 24, 1895, d: Jan 31, 1965; Belle b: 1899; Henry b: 1900, d: Sept 14, 1979, Ralph b: 1903, d: Jan 1985; Elizabeth b: 1906, d: Feb 17, 1988; Franklin b: 1911, d: 1967 and Raymond b: June 3, 1913, d: Nov. 25, 1981.